We Are NYC Running Club was established in February 2018. How it started is kind of a coincidence but one thing is for sure, it is here now and we aren’t going anywhere! When I was accepted into the 2018 United NYC Half Marathon, I wanted to meet other runners and bring them together. So I formed a nice little facebook group page of runners that were running the United NYC Half Marathon. When I formed it, I simply thought I would meet a few runners running the race, maybe we could share some stories, some tips going into the race and who knows what else. By the time the race was run in March 2018, that little Facebook group had grown to over 1,000 people! With my sincerest gratitude, that group became a very active community of runners who shared one main goal in mind – to train and prepare for the United NYC Half Marathon. Aside from that one goal however, the runners in the group found valuable information not just about preparing for the United NYC Half Marathon but also about so many other aspects about their running. The group had members from all across the country and even around the world. Members of the Facebook group found runners in their neighborhoods to meet up with and share a run, and not just in NYC but across the country. As a by product of forming that group, members in New York City went ahead and started to get together to do group runs to help prepare for the United NYC Half. Overall, there was a sense of enjoyment being shared by several members at just being part of the group. All of this led to the group wanting an identity. This group couldn’t be called “The United NYC Half Marathon” group anymore (lol). As I thought about what we could name this group, I went back and thought about why I formed this group originally – I just wanted to bring runners together no matter who they were, where they were from, what level of runner they were, or even what language they spoke. So if I was going to give this group a name, it needed to transcend beyond the United NYC Half Marathon race. I also wanted this group name to speak to everyone that was currently in the group, even the members that live internationally. What I learned as being a part of this group is that a lot of people love to run in New York City. Its not just those that live here. Cue up – We Run NYC Running Club or as I will refer to it for the rest of this post, WERNYC! We Run NYC RC Members At NYRR Gridiron 4 Mile Race in early Feb! It may sound cliche, but WERNYC truly represented the folks that were in this United NYC Half group. Further, it represented all of those runners whether from NYC or not, who will look forward to races in New York City like the New York City Marathon, the United NYC Half Marathon or the Brooklyn Half Marathon. In essence this running club is different than most running clubs that you see in New York. It quite possibly stands to be an International running club made up of runners from all over the world. For New York runners, WERNYC presented a chance to meet up with other New York runners to exchange stories, meet new friends or just go on group runs with other local runners. Further runners from NYC will have a chance to meet runners from all across the country, giving them an opportunity to network and socialize with someone just as passionate about running as they are. Already I have met runners in Georgia, California and Oklahoma just to name a few. Chances are if I am ever in their neck of the woods, I can turn to them for great tourist suggestions, or even better, quality running routes, or maybe even a running partner while I am away. This networking benefit is obviously available to every single member too! For runners from out of state, WERNYC gives them a friendly space to come, learn and gain valuable insight about coming to New York for a race. It’s an opportunity to get race day logistic tips so that they can focus on their race and not have to worry about scrambling in their prep. From lodging recommendations, to transportation to and from their race, even how to dress for races, to just about anything else they can think of, they can chat away in this group to gain valuable information. For non New Yorkers, I like to think of We Run NYC RC as an out of towner’s running club away from home! Since running the United NYC Half Marathon, WERNYC members have gone on to run several races under this proud club name not just in New York but all over the world! In fact, WERNYC became an officially recognized running club by the New York Road Runners club! Team members celebrating after completing the Brooklyn Half Marathon! 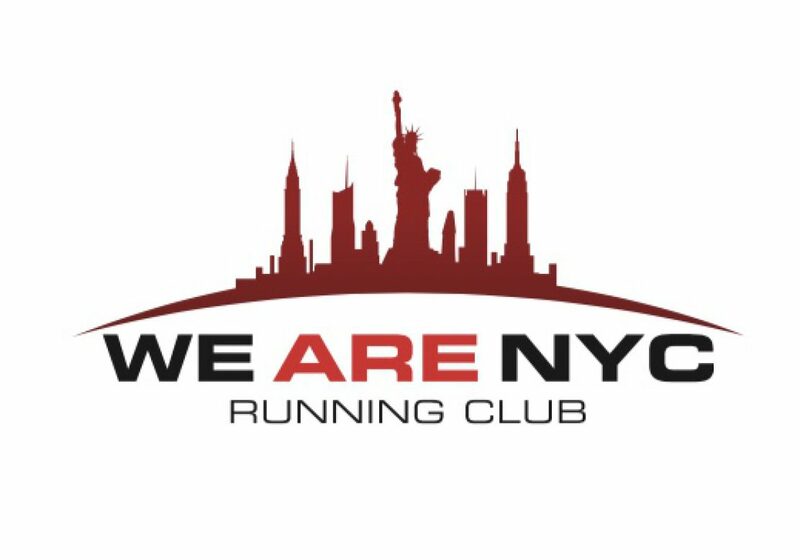 In July of 2018, due to complications surrounding our name, the group changed its name to We Are NYC Running Club. Since our prep for the United NYC Half Marathon has inspired so many, we’ve started a few more similar facebook groups. One for the Popular Brooklyn Half Marathon and another for the prestigious TCS New York City Marathon! You can join those too by clicking on the links! But that’s not all, we aren’t slowing down anytime soon. We Are NYC Running Club has LOTS in store for the future!! The enthusiasm inspired us to start up some gear to give us an identity. You can find some of that merchandise here! I truly believe that the sky is the limit for this group and I am excited to see this club’s continued growth. As I mentioned above, I never thought that starting an online Facebook group would turn into a running community such as WERNYC! If you are interested in joining our finding out more about our We Are NYC Running Club, please drop me an email at werunnycrc@gmail. com ! You can also follow us on social media via one of the following pages!